SPECTRUM RO systems have been designed to meet the requirements of commercial and industrial operators. 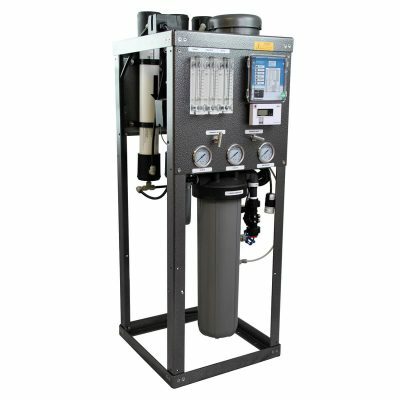 4 systems are included in the range to meet RO water production levels of 150 to 1250 litres per hour. 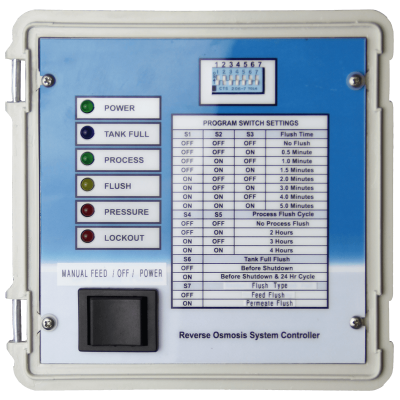 Each system is computer controlled to offer versatility in use and features a number of auto-flush settings for when not in use. 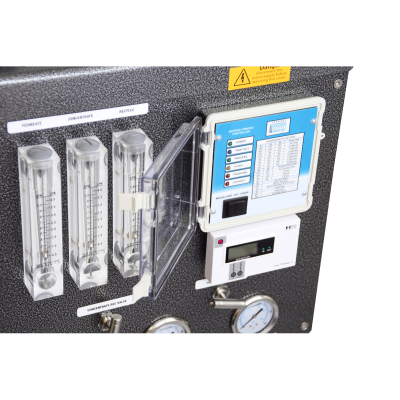 Systems come complete with gauges, flow meters, dual TDS meter and concentrate recirculation valves, to offer the operator all of the technical information required to monitor performance combined with the control desired. These fully assembled and 100% integrity tested units require minimal installation and commissioning time with simple operation and negligible ongoing maintenance other than replacing filter cartridges and RO membranes as and when required. 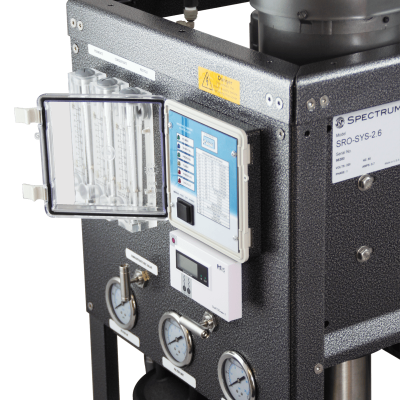 SPECTRUM RO systems incorporate high-quality components throughout. The importance of durable and reliable pump systems, membrane housings, membranes, monitoring devices, fittings and pipework is understood and applied to each build to ensure the ongoing reliability of each key component. 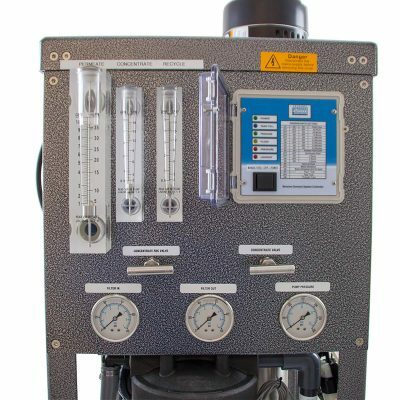 Glycerine filled gauges, LCD TDS meter display, security locking device on the membrane housings, industrial powder coated aluminium frame, high and low-pressure sensors to protect the pump operation, are all included in the design of a reliable system for producing consistently high levels of RO water.